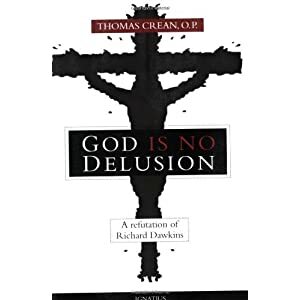 I just read a review of God Is No Delusion: A Refutation of Richard Dawkins by Thomas Crean, a Dominican Catholic. What really stood out to me was the reviewer’s intellectual honesty – followed by the friendly exchange in the Comments section. It’s a model worthy of our following, amongst those of faith and no faith, and of course among those of differing faiths. I’ll write more about this later. Many thanks to those mentioned – you really made my evening. (P.S. Here’s a review of an earlier version of Crean’s book. On a related note, just today I was reading an interview with Thomas D. Williams, who is a theology professor in Rome, Vatican analyst for CBS News, and author of Greater Than You Think: A Theologian Answers the Atheists About God – which came out just today, actually. Williams takes on Dawkins and his peers, including Sam Harris, Daniel Dennett, and Christopher Hitchens.